Divorce is certainly not inevitable. In fact, regardless of what you may have heard repeated over and over, your marriage has about a 75% chance of working out just fine. That being said, protecting one’s assets from the consequences of a divorce, even if that divorce never comes to pass, is something many people strongly consider. While the law in the State of New Jersey continues to evolve with regard to the issue of marital agreements, we are certainly able to describe the various types of agreements which are available and the standards applying to them with regard to enforceability. For the purposes of this discussion, we will mostly focus on property and personal items and enforceability, leaving custody and issues related to children aside for a later time. The most common type of agreements by far are “prenuptial agreements” and “marital/property settlement agreements.” As the name suggests prenuptial agreements are negotiated, drafted, and entered into prior to the actual marriage. A marital or property settlement agreement is an agreement which is drafted, negotiated, and entered into after a complaint for divorce (and possibly an answer to the complaint) has been filed. These two types of agreements cover all aspects of equitable distribution between two people who either intend to get married or who are already married and are filing for divorce. They are in large part held to the same standard with regard to their enforceability. The court looks at these two types of agreements in largely the same way, with some subtle differences. That is, the court takes the view that since no one can be forced to marry someone else, a prenuptial agreement is in general going to be upheld (subject to some very specific questions and facts) on the theory that both parties had equal access to information and an equal ability to walk away from the planned marriage rather than signing an agreement they did not find fair. A key issue which may impact enforceability of a prenuptial agreement is whether or not enforcing it would leave one spouse in a worse position than he or she was in when they entered the marriage. A marital or property settlement agreement will similarly be upheld generally, on the theory that once a complaint for divorce has been field, both parties have access to full discovery as well as a right to trial on all issues should they wish to assert that right. As long as both parties entered into these types of agreements voluntarily and with full knowledge and understanding of the terms contained within them, the courts are in general reluctant to alter them. A key issue to the enforceability of a marital or property settlement agreement will be the issue of any substantial change of circumstances in moving forward or, in particular, a discovery by one party that the other did not actually disclose all of the facts when negotiations were conducted. The point here with regard to these two types of agreements, one entered into prior to the marriage being formed and the other after the marriage is deemed irretrievably broken, is that they are in general terms going to be held valid until the court is presented with a reason to hold otherwise. The final types of agreements available are post-nuptial or mid-marriage agreements. These agreements are a horse of a different color. There is a very, very limited body of law in the State of New Jersey on these types of agreements. And what there is does not afford them the same level of protection and up front presumption of validity that is afforded to the two previously discussed types of agreements. Whether you call it a “mid-marriage agreement” or a “reconciliation agreement” or a “separation agreement” or a “post-nuptial agreement,” enforcing any type of agreement made after the parties are married can be extremely problematic. Why is that? Simply put: concerns about unequal bargaining power. The problem with agreements entered into following a marriage is that, unlike with a prenuptial agreement or a marital/property settlement agreement where the bargaining power is, ideally, equal between the parties, New Jersey is in general concerned that once two people are married, the courts can never be completely sure that one party did not essentially force the other party to waive rights or entitlements they may have otherwise had by using the disparity between their incomes or earning power during the marriage. This is not to say that such agreements are completely unenforceable, because they are not. However, are there many more hurdles to enforcing an agreement made after two people are married but before they file a complaint for divorce? Absolutely. And will there be the potential for prolonged litigation with regard to any agreement entered into after a marriage but prior to the filing of a complaint for divorce? Absolutely. In order to try and create an enforceable mid-marriage agreement of any sort, there needs to be a demonstrable full and fair disclosure of all debts and assets between the parties to the agreement. Both parties should ideally have been represented by counsel when negotiating and effectuating the document, crucial (redacted) financial documents should be discussed and even attached to the agreement itself. Additionally, the amount of time which has passed between the creation of the document and the time when enforcement is sought can be critical as well, especially if things have changed substantially for one or both parties. 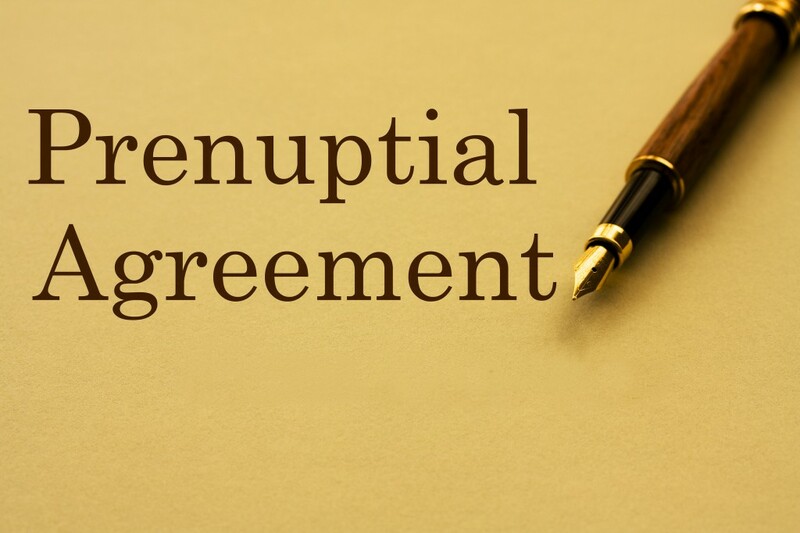 If you are considering marriage and have thoughts about protecting your business or your retirement assets or any number of existing properties or personal items, discussing a prenuptial agreement with an experienced family law attorney is a prudent use of funds. Similarly, if you wish to draft an agreement after you are already married, good counsel from a skilled practitioner could make all of the difference later when and if enforcement is sought. At Simoni Law, LLC we are experienced in all aspects of family law and litigation, including all varieties of marital agreements. Call us any time and our helpful staff will be glad to set you up with a no obligation and completely confidential consultation to discuss your thoughts and concerns.